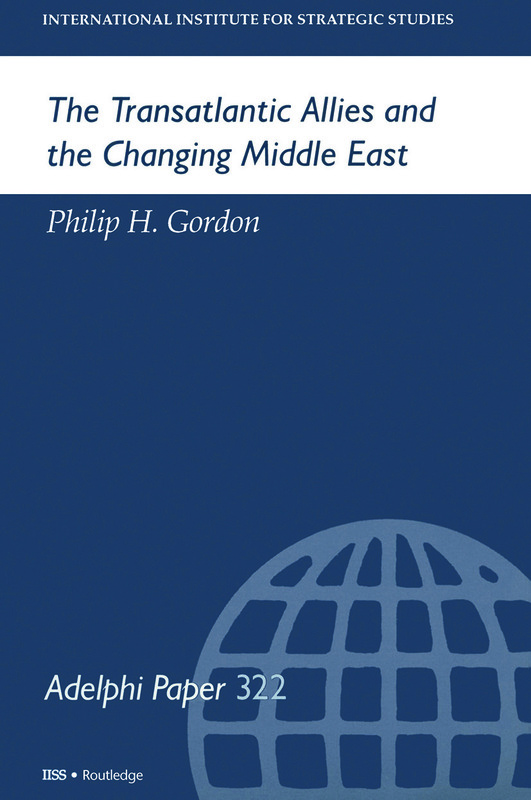 Since the mid-1990s, US and European attitudes, strategies and policies towards the Middle East have diverged. In the Middle East peace process, Europeans have grown frustrated with the lack of progress and with Washington’s near-monopoly on diplomatic action, and have begun to demand a greater role. On Iraq, the US insists on strong military and economic containment of Saddam Hussein, while some Europeans have started to press for a more rapid reintegration of Iraq into the international community and are reluctant to use or threaten force. The issue of how to deal with Iran has been most divisive of all, with the US and Europe deeply divided over whether they should contain, or engage, Tehran. Transatlantic tensions over the Middle East are damaging for three main reasons. They reduce the effectiveness of allied policies; undermine NATO’s cohesion when its future is no longer guaranteed by a common threat; and threaten to spill over into the economic domain. On the Arab–Israeli conflict, as long as the peace process is moving forward, or has reasonable prospects of doing so, the US is probably right that Europe’s formal involvement in direct peace talks would not be helpful, particularly if such a role aimed to promote policies different from those of the US. If the peace process stalls completely, however, it will be difficult for Washington to justify opposing a more active European role. On Iraq, the US-led policy of containment is correct, and economic sanctions should remain in place until Baghdad complies fully with UN Security Council disarmament resolutions. However, in exchange for Europe’s agreement to contribute to Iraq’s military containment, the US, like Europe, should abide by the letter and spirit of these resolutions, even if this means agreeing to lift restrictions on oil exports if Iraq complies in full. Failing to do so could undermine global support for the integrity of the UN system, ultimately leaving the US, and perhaps the UK, isolated in maintaining a policy that might not be sustainable in the long term. On Iran, a transatlantic compromise would need to include an agreement by the US not to impose sanctions against European companies doing business with Iran, as long as Europe offered unstinting support in combating terrorism and helping to contain the development of weapons of mass destruction. The US should also seek agreement with the European Union on which Iranian actions would justify sanctions or other punitive measures. The paper concludes by examining institutional changes that might help to promote transatlantic cooperation on the Middle East.